Over the past twenty years, living rooms across North America have rung out daily with an oppressive cry meant to instill a forceful rejection of a new and popular mode of activity. The resounding and repetitive cry is an attempt at clinging to old and (some would say) archaic modes of thought. One that forces the young to burn in the light of the sun, and sweat under the toil of hours of activities. Perhaps you have even heard it. Because games are no longer just an 8-bit shooter built to kill time. They now have definition, story and depth. And most importantly, they have relativity. 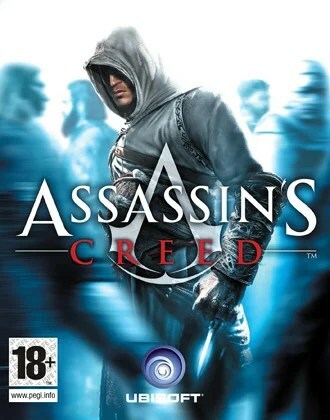 As a gamer and a historian (I graduated from Carleton University in 2010 majoring in History and minoring in Classical Studies) I have seen a unique fusion of these two worlds over the past little while, and it started with a little title that has now taken the world by storm: Assassins Creed. I first played it in the summer of 2009. At that time I had been doing work on Medieval Christian History, having written papers on the Venerable Bede and John Wycliffe, and had reviewed the works of several theologists including Augustine of Hippo and Benedict of Nursia, to name a few of a long list. So of course when my roommate showed me this game, I already had a sense of what I would be walking into. The game itself wasn’t particularly riveting because it was very rinse and repeat. Yet it could not be denied that there was a certain appeal to the story that Ubisoft had created. Not thinking much of it, I set the game down at the end of the summer and went back to work. I had developed an interest in the Crusades from an Islamic perspective, and found my workload for that year. As I worked well into the second semester, I ran into an article. It wasn’t anything fantastic, more of a mention than anything else. The article was to do with an assassination attempt on the life of Salah al-Din by a group termed as Hashishiyyin or more commonly known, Assassin. What piqued my interest was the mention of “The Old Man of the Mountain” or “al-Mualim”. I had heard this name before, but as it wasn’t immediately relevant to the work I was doing, so I stored it in the back of my brain to draw upon at a later time if I should find some time. As I wrapped up my final year, I was distracted by a multitude of things (not the least of which is the birth of my first child) and of course that name was shelved again for another year. 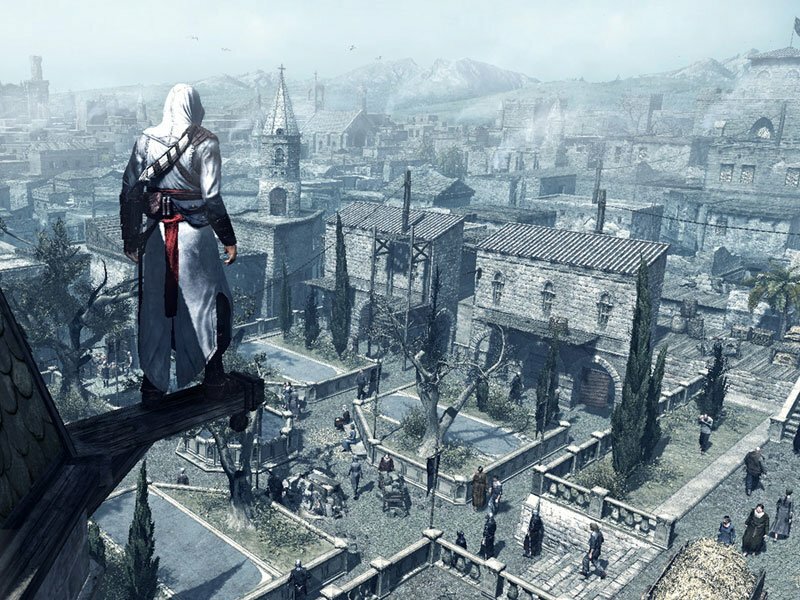 As the year came to an end, news was abound of the release of Assassins Creed II and its expansion, Brotherhood. I received both of these as a Christmas gift, and was overjoyed when my parents offered to take my then 9 month old daughter for a few days to give my wife and I some time to unwind. I plugged in and played and enjoyed. Of course, as I got along, I recalled some of the details of the first game and on December 28th (I remember this date well because of this as well as a few other things), I popped into Wikipedia to review the story of the first one, and was completely floored as I was presented with a number of recalled details as if I myself had been placed into the Animus, and that was then a bridging occurred: I realized that al-Mualim was the mentor of the main protagonist Altai’ir ibn al’Lahad. It was then that I came to a rather drastic realization about the gaming industry. Video games were no longer just a tool for entertainment. This was a new platform for historians to assemble takes on history. This was the future! As I reviewed the story of the first game with a bit more scrutiny, I discovered that there was so much of this piece of entertainment that rooted itself in history. As I proceeded through the second game, prominent figures from the history of the Renaissance also made appearances. Names like Leonardo da Vinci, Lorenzo di Medici, and Niccolo Machiavelli all play significant roles in the series as heroes and plot accelerators, and have made the series something of an intrigue to me. I remember my neighbor coming to me one day (He was very heavily rooted in gamer society, and worked at Best Buy to further his love for the culture of games) asking me what I knew about Niccolo Machavelli, (I never really kept my education a secret). At the time I had not played the second iteration of the series but was actually taking a course on Renaissance history and so I gave him a sort of a Coles notes version of Machiavelli’s life as a political player and of his seminal work “The Prince”, and his response was “Holy (expletive)! Machiavelli was a badass!”. Not thinking much of it at the time, I kind of nodded my approval and just carried on. Not too long after, another friend who was another gamer, but a little more aware of history mentioned that he had really appreciated how Leonardo da Vinci was portrayed rather interestingly and was not what he would’ve expected as he always felt that Leonardo was somewhat of a more demure person, not one to take part in the social intrigues of a developing Italian Society, while still building on the work that we know and appreciate today. There is even a point where, as the hero Ezio Auditore da Firenze, you are tasked with retrieving prototypes of Leonardo’s work to prevent them from being used for more nefarious purposes by the Borgia family. It was this discussion that prompted a line of thinking that I would never have ever imagined. These historical figures that defined major components of our own collective history were being dragged kicking and screaming out of the backbreaking textbooks that most kids and teens despised and were being injected into a context that was not just relatable, but enjoyable while bridging the worlds of entertainment and academia. In the past few years since these games came out, I have seen some very interesting developments in the people I have known. The same neighbor who asked me about Machiavelli invited me over for a game of Dungeons and Dragons, and when asked to grab a game book from his living room, I had found a copy of Machiavelli’s The Prince, bookmarked about thirty or forty pages in. I brought the game book in and casually mentioned “The Prince, eh?” He gave me a smirk, and without another word we went back to our game. Over the course of the past three years, I have been impressed as some of my friends who only get a chance to read every so often. Usually, their preferred reading is something light, like something from a romance collection or a tale of swords and sorcery, because they don’t really look at reading as anything other than a break. Some of them have taken to trying to read some of the works that have been mentioned in this game, as well as others (one girl I worked with picked up a copy of Ovid’s Metamorphoses because of a reference in one of the God of War games). I don’t imagine that all of them finished all of them (let’s be honest, a large number of the works mentioned in these games can be really difficult to read. Try reading Homer’s Iliad and see if you can get through the counting of the ships and armies of the Greeks as they prepare to sail for Troy. Now THAT’S tedious! ), but the fact remains that these types of games are rapidly creating a demand for these cultured works that are normally considered to be above the common person (which, of course, I have ALWAYS argued against) and is slowly becoming responsible for a maturing mindset regarding our own self responsibility to our own education. As they are reading about them, even the occasional one will start talking about the work they have studied, in a setting that is accommodating of the university seminar sessions. Could it be that these games are a gateway drug to education? Oh how I would love it if the answer was yes! Of course this whole composition seems like a drawn out anecdote, but it proves that games are no longer the one dimensional builds that fans of the old NES systems recall, but are becoming a gateway to our own culture by fusing historical content into a modern medium of entertainment, and creates a unique melding of entertainment and education under the guise of what most parents would call a senseless waste of time. Just don’t expect Grand Theft Auto to provide the same experience. I still endorse parents to be aware of the content that their children and teens are enjoying!